Saturday, April 6 10 a.m. – 1 p.m.
Join Johnstown’s newest cycle shop, Hope Cyclery, as they host a ride along cleanup of the Ghost Town Trail. Volunteers will ride the 19 mile stretch of trail from Dilltown to Ebensburg. 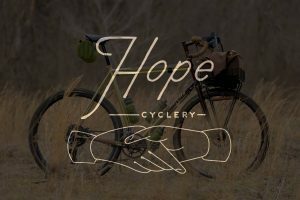 Thanks to Hope Cyclery for organizing and supporting this event. Click here for more information. Saturday, April 13 10 a.m. – 1 p.m. Volunteers will clean up trash in the Riverside area of the trail and enjoy a ride along the 3.1 mile Jim Mayer Riverswalk Traill. Thanks to Hope Cyclery for organizing and supporting this event. For more information on this event, click here. Volunteers will depart from downtown Johnstown and enjoy a scenic ride along the Path of the Flood Trail as they pick up trash along the way. Thanks to Hope Cyclery for organizing and supporting this event. Click here for more information on this event.